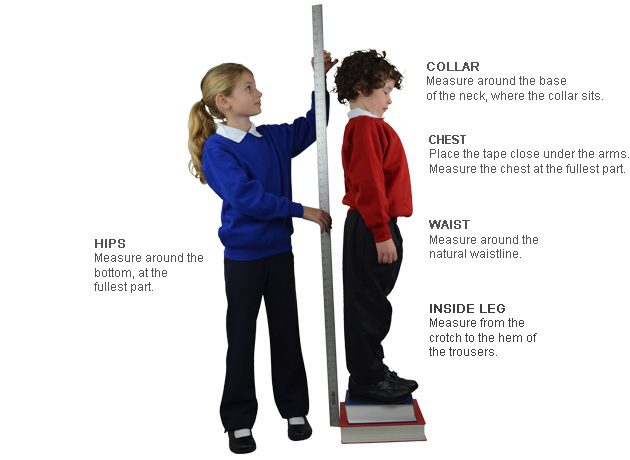 Many items of School Uniform are sold as a specific size not by age – if you are used to buying by age we advise that you measure your child and check the age / inch comparison Size Guide below. Garment sizes in inches are a “to fit” size, therefore if your child measures a 26″ chest we would advise you to order a 26″ chest as garments are made to fit that chest size – only order a larger size if you are allowing room for growth. Here’s a short video containing helpful tips and advice for measuring your child and ordering the right school uniform. Please note the fitted, shorter style of this knitwear. If your child prefers a longer. looser fit you will need to order a larger size. Please check the size chart below which gives actual dimensions of the garment. 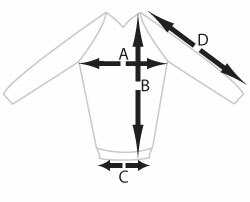 Measurements are taken from a flat garment (jumper/cardigan), for actual chest and waist size you need to double the flat measurement. Waist measurement is across the ribbed band which will stretch more than the main body of the garment.